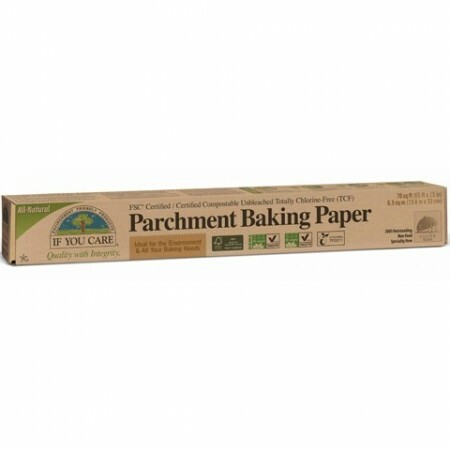 If You Care baking paper is made from unbleached, chlorine free FSC-certified parchment paper and coated with silicone for a non-stick surface. Packaged in a recycled chlorine-free dispenser box. Please note that this paper is coated in silicone and thus is not plastic free. If You Care design environmentally friendly kitchen and baking essentials that are free from chlorine, bleaches and paraffin waxes. FSC certified forests are well managed to rigourous environmental and social standards. Standard baking paper is sometimes coated with Quilon which contains the heavy metal chromium. 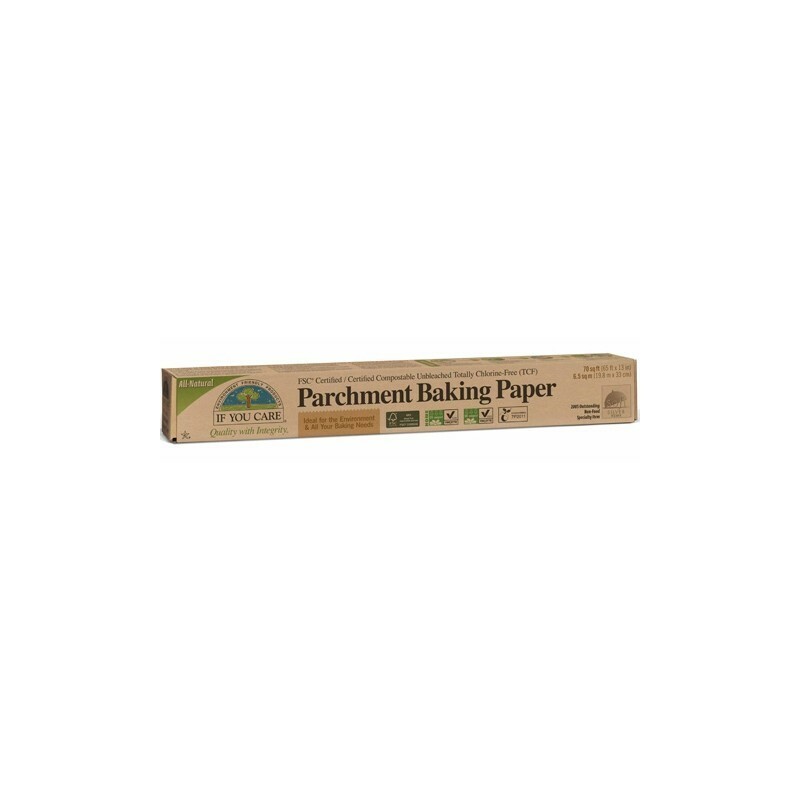 1 x roll of FSC certified parchment baking paper. Oven and microwave up to 220°C. Sheets can be reused a number of times. Recycled chlorine-free cardboard dispenser box that can be recycled again. Browse all our green baking range. Some parchment baking paper is coated with Quilon which contains Chromium, a heavy metal, which can leave toxic trace elements when incinerated. Great for having in the kitchen to save from greasing trays and pans and nice that it is unbleached and chlorine free. This stuff is glorious. It is green-bin-able where I live, and for general biscuit baking I find I can re-use the same piece several times. The compostability is the major factor for why I'll continue using it.